Don't Miss Our Amethyst Cathedral Sale! Bridal Cave & Thunder Mountain are well-known for being gorgeous scenic Lake of the Ozarks attractions, but some people may not realize what an excellent Lake of the Ozarks gift shop we have. You will find lots of wonderful souvenirs to remind you of your visit, including a large variety of incredible rocks, minerals, and gemstones. Right now, all of our fascinating Amethyst Cathedrals are on sale at 25% off of the retail price. 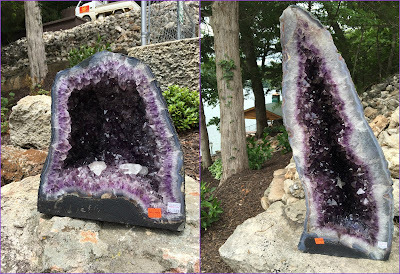 You will not find a better price anywhere else on these Grade A Brazilian Amethyst Cathedrals. We expect to sell out quickly at these amazing prices, and quantities are limited, so you'll want to come on over and check them out soon. Amethyst TraitsAmethyst is a semiprecious stone that can credit its beautiful color to irradiation, iron impurities, and the presence of trace elements. Its name comes from the Ancient Greek: "a" meaning "not" and "methystos" meaning "intoxicated." Bridal Cave is well-known for the hundreds of weddings performed here each year. Couples come from all over the country travel to say their vows in our scenic underground wedding chapel or the pavilion overlooking the beautiful Lake of the Ozarks. 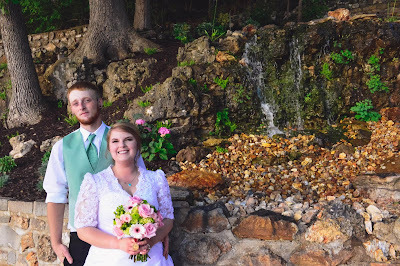 There are, of course, many locals that also say "I do" in the gorgeous settings available here for their Lake of the Ozarks wedding venue. On June 4, 2016, one of our own staff members chose to exchange vows here at the park. Tiffany Mefford has been an employee of Bridal Cave and Thunder Mountain Park for the past couple of years. She married Brandon Walker in an exquisite wedding ceremony in the pavilion, taking advantage of the lovely weather and breathtaking lake view. 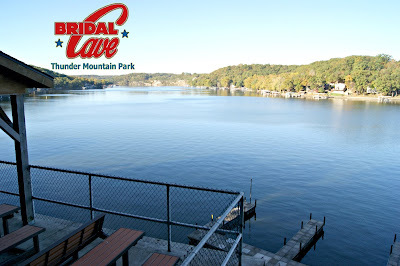 You will find Bridal Cave and Thunder Mountain Park by water on the 10.5 mile marker of the crystal clear Big Niangua Arm of the Lake of the Ozarks. This happens to be the most pristine arm of the lake due to the many natural springs that flow into it. You may reach our Lake of the Ozarks attraction by boat, park at our docks, and tour our scenic cave and incredible trails. Our docks are conveniently located near Bridal Cave's entrance. The water in the Big Niangua Arm is much clearer and less congested than most of the Lake of the Ozarks. This allows for a very calm and scenic boat ride. Some of the biggest springs in Missouri flow into our section of the lake. Once your Bridal Cave tour has ended, the fun's not quite over yet. After you make your way through our scenic mid-Missiouri cave, the tour guides will provide all of the children in the group with free fish food to toss to the giant, hungry grass carp that are always swimming around our dock. These gigantic fish are always hanging around, looking for a handout. In the wild, the diet for these herbivores will consist of a variety of plant matter. The young feed mostly on small crustaceans and other invertebrates. As they get bigger, they will mainly eat aquatic vegetation, but may also eat a wide variety of plant and animal material, including filamentous algae. Bridal Cave has been the site of many field trips, especially in the spring when school is winding down for the year. 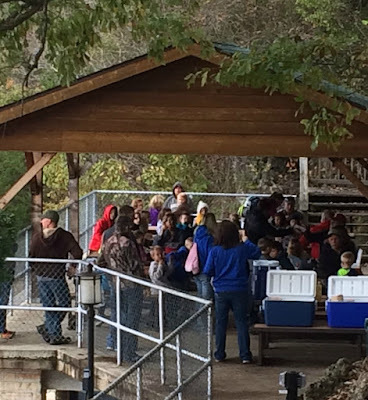 Thousands of school children enjoy our Lake of the Ozarks cave tour, learning interesting facts during a special day out of the classroom. The parks offer unique educational programs that are informative, hands-on, and most of all, fun. 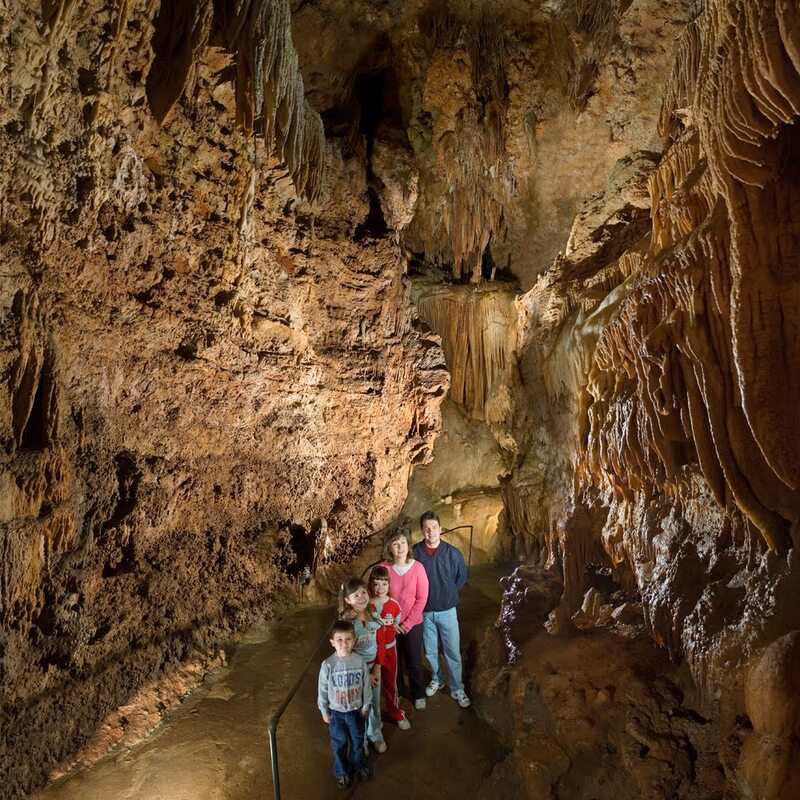 Known as "The Cave State" due to its over 7,000 caves, Missouri offers our school children many chances to explore these underground wonders. We believe it is important to teach kids about the relationship between the surface and subsurface, and the many ways that the two are connected. Take nothing but pictures. Kill nothing but time. Leave nothing but footprints.